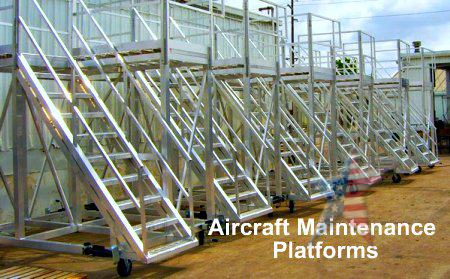 Helicopter Maintenance Platforms that adjust are just the Answer! 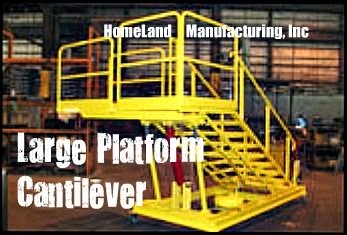 These Platforms are designed for requirements with adjustable height or a larger platform size. 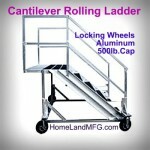 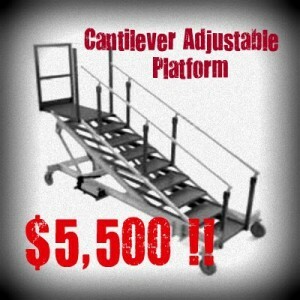 We also build rolling cantilever ladders and fixed height rolling platforms. 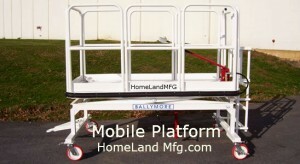 Our professional/courteous people can help you get the correct info you need for your challenge. 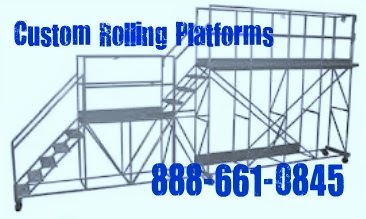 We can build from your concept or design. 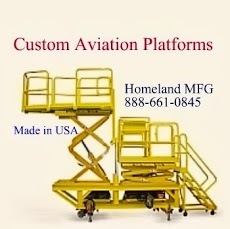 We offer experienced help and visual aids as needed. 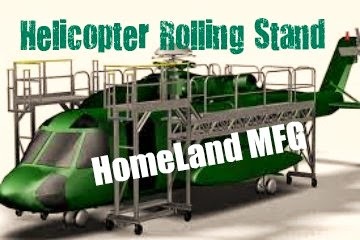 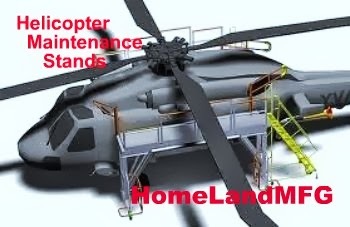 We are the helicopter maintenance platform 'go to' people. 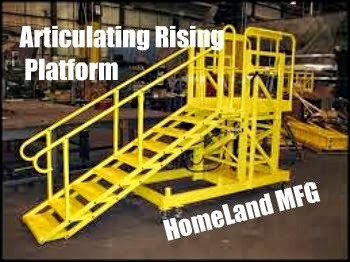 Steps articulate as height adjusts ! 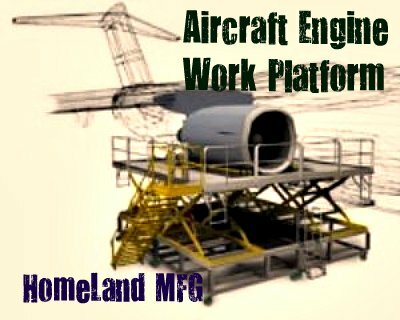 Aviation Maintenance Platforms, Courteous Professional Service.